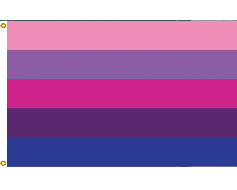 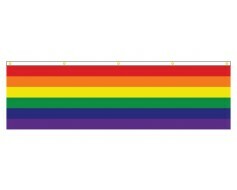 Vertical banner with horizontal rainbow stripes. 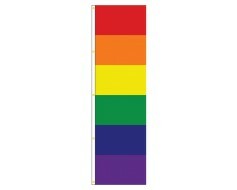 Sewn stripes, available in 2 sizes with either grommets or a pole sleeve for hanging from the top. 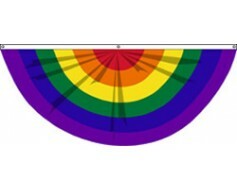 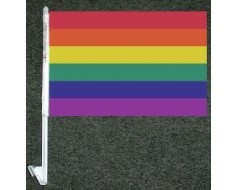 Rainbow Car Window Flag - 10x15"
Original Rainbow Flag Car Window - 10x15"
Transgender Stick Flag - 12x18"
Canvas Header & 5 Grommets along left. 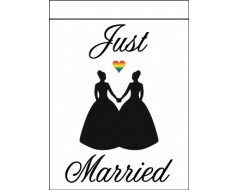 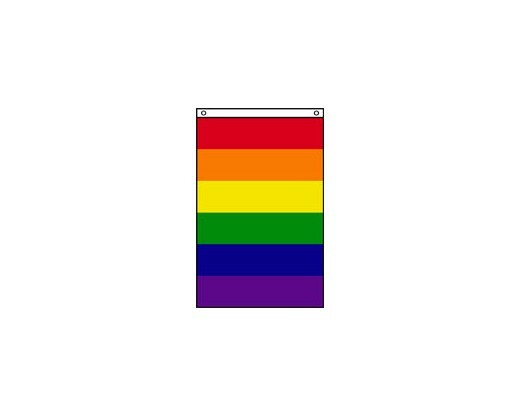 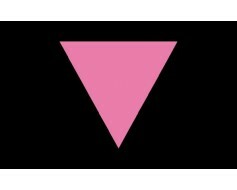 Just married gay men flag. 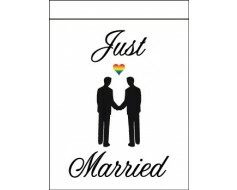 Two grooms and a rainbow heart. 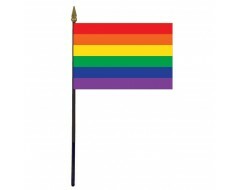 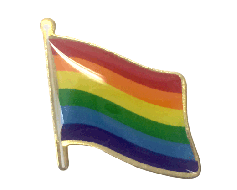 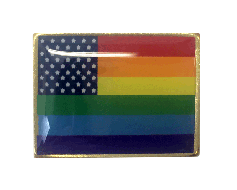 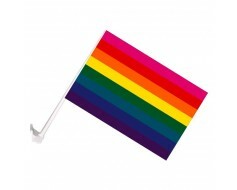 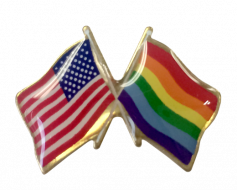 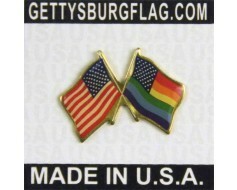 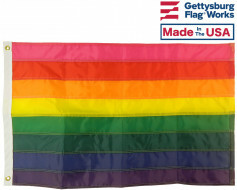 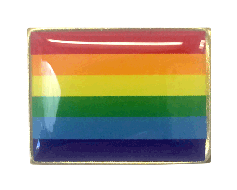 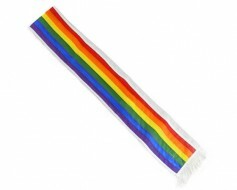 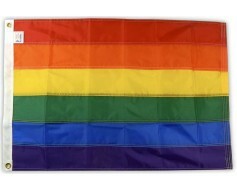 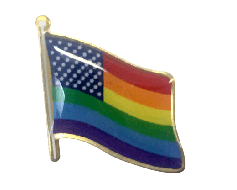 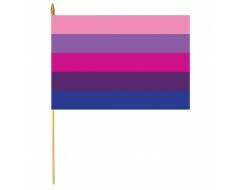 Made from the same durable Dupont nylon as our other outdoor flags, these rainbow banners are sure to please. 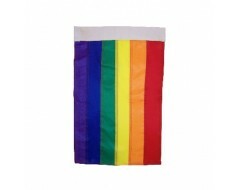 The nylon is a fast drying and fade resistant material for continuous outdoor use.